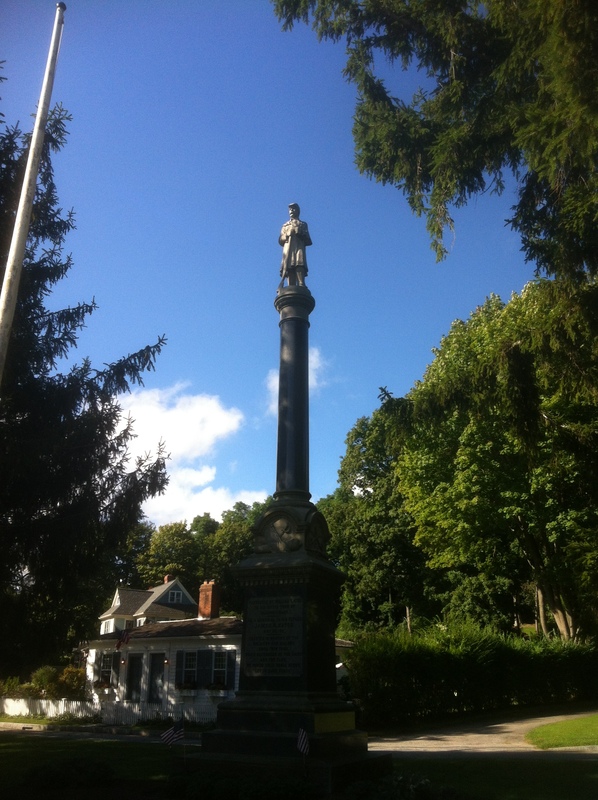 Statue to Union Soldier in Massachusetts. Similar statues appear in Southern United States to Confederate soldiers. The present casualties of the on-going civil war are staggering and the greatest of these is respect and civility. Destruction to the very fiber of our nation, country and fellow Americans is appalling. Equally disturbing is the destruction to public property and the dignity of life, creating scars beyond common decency. “….the brave men, living and dead, who struggled here, have consecrated it, far above our poor power to add or detract.” “……..it is for us the living, rather, to be dedicated to the unfinished work which they who fought here have thus far so nobly advanced.” The unfinished work Lincoln made reference to is not what we are presently witnessing, but rather, a continuation of the American Ideal and not our own agendas. “that from these honored dead we take increased devotion to that cause for which they gave the last full measure of devotion.” Lincoln would hang his head if he witnessed what we are doing to the monuments that mark the elimination of a way of life that has passed and grown into a blossoming society beyond any other country in the history of civilization. It is these monuments that remind us of the progress we have made together, not of what was…. But what is……….It is not in the rear view mirror we should gaze but the front window that provides a panoramic view of what has been accomplished and what can be. Certainly one of the most revealing scenes of the state of affairs in our culture occurred in the recent mayhem in Charlottsville, Virginia where several people were kicking and beating a demonstrator, while another group stood idly by taking pictures and not offering any help to the disabled person lying in the street. What has caused us to deviate from the agenda of building this great nation into a self-serving “me” and “I” society? Let’s be civil in word and deed. Let’s show respect to all people. Let’s teach social etiquette in all circumstances. It is time for us to come together before it’s too late. Let there be peace and let it begin with me.